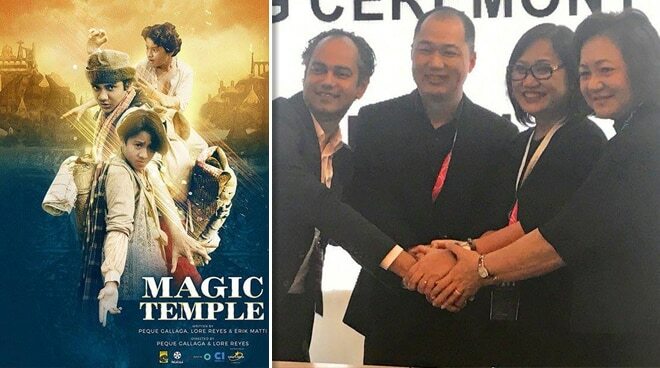 After signing a deal with Singapore-based production company Cre8, ABS-CBN Films is developing a modern version of the 1996 hit movie Magic Temple. According to ABS-CBN News, the new Magic Temple will be helmed by Birdshot director Mikhail Red. The movie is set to be released as a series similar to the Harry Potter and the Lord of the Rings franchises. The movie is set to be released not only in the Philippines but also abroad. “We’re opening ABS-CBN Films and the Philippines to the whole world,” Star Cinema managing director Olivia Lamasan remarked. Magic Temple tells the story of three teenage boys on a quest to destroy an evil magical force.